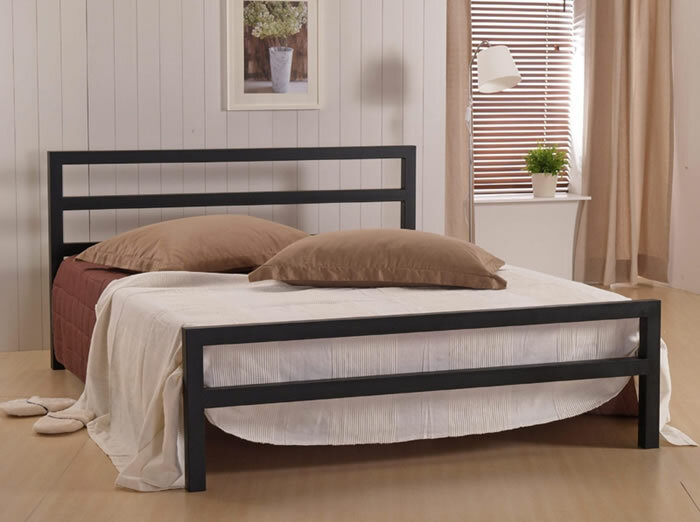 The Time Living City Block metal bed frame in a matt charcoal finish is available in four standard UK sizes including single, small double, double and king size. This up to date modern piece of bedroom furniture features simple straight lines on both the high headboard and low foot end. 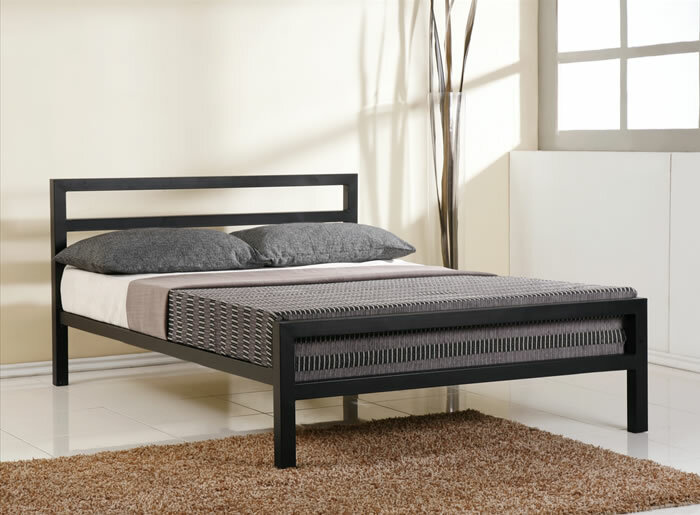 The City Block offers a sprung slatted base for maximum comfort and has been designed with a strong centre rail which does not require a centre support leg to maximise under-bed storage space.